Commercial trucking accounts for a significant portion of the traffic on Louisiana’s highways. Semi-trailer trucks, commonly known as 18-wheelers, account for a large percentage of commercial trucking. While this is a critical part of the nation’s commerce, it carries significant risks. Because of their size and momentum on the road, 18-wheelers have the potential to cause far greater damage in an accident than an ordinary auto accident. An experienced Natchitoches 18-wheeler accident attorney can help someone who has been injured in an accident involving a semi-trailer truck. 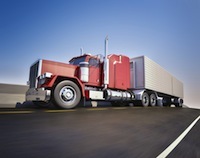 Several government agencies regulate commercial truck drivers. Beginning at the local and state level, truck drivers must obtain a specialized driver’s license, known as a Commercial Driver’s License or “CDL,” indicating that they have training and skill in operating such a large vehicle. Louisiana has three levels of CDL, described as Class “A” through “C.” Class A CDLs cover large combination vehicles, which include 18-wheelers. Regulations also govern how companies manage their trucks and drivers, as well as how drivers behave on the road. The Federal Motor Carrier Safety Administration, an agency of the U.S. Department of Transportation, issues rules and regulations relating to, among others, hours of service by drivers and drivers’ health and safety. FMCSA regulations establish a maximum number of hours a driver can work, both behind the wheel and in other job duties, before the driver must have time off. The reason for this being the idea that fatigued drivers make more errors. The FMCSA also prohibits truck drivers from using mobile phones to send text messages while driving, and it may also ban use of mobile phones while driving entirely. Liability in an accident involving an 18-wheeler works much the same as in an accident involving ordinary cars. To prove liability for negligence, an injured person and their Natchitoches 18-wheeler accident lawyer must prove that the defendant owed a duty of care to the plaintiff and breached it, that this breach caused the accident, and that the plaintiff suffered actual injuries. Drivers generally owe a duty of care to all other drivers on the road, as well as pedestrians nearby, to drive in a reasonably safe manner. Since commercial truck drivers must undergo additional training and have an additional set of regulations governing how they operate their vehicles, an injured person may have another method of proving liability. In many circumstances, proving a violation of a safety regulation can contribute to or even constitute proof of negligence, if the violation led directly to the accident. A truck driver too busy sending a text message to watch the road, who then causes an accident, violates both a traditional duty of care and a statutory one. Based in the Natchitoches area, the 18-wheeler accident lawyers at the Dunahoe Law Firm will devote all of the time and attention that your case deserves to work towards getting as large a settlement or award as possible. As appropriate, we will conduct an independent investigation into the accident, reconstruct an accident scene, evaluate medical damages, and assess how best to pursue your claim. Serving all of North Louisiana, the personal injury lawyers of the Dunahoe Law Firm pride ourselves on our excellent service to clients who have suffered injuries in accidents involving 18-wheelers. To schedule a free and confidential initial consultation with an 18-wheeler accident attorney in Natchitoches, contact the firm through our website or at either (800) 259-4460 or (318) 352-1999.